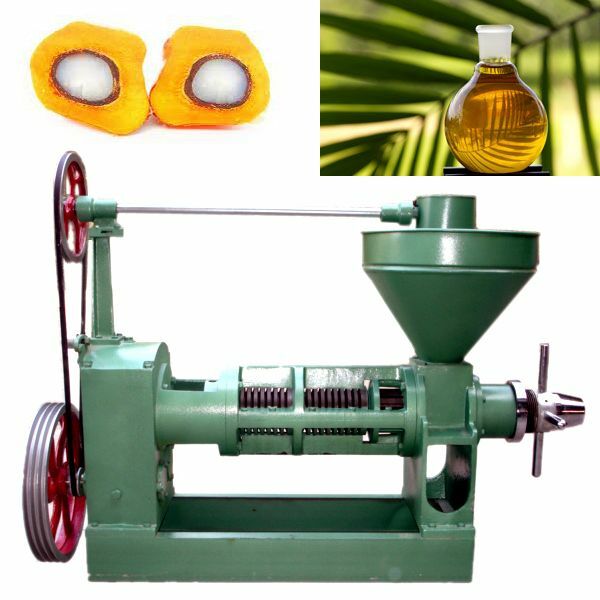 Our palm oil mill has a multifunction ability which can also process all the vegetable oil seed besides palm kernels. What important is that the palm oil mill needs few initial investments and less workspace, but can offer all the functions necessary for all the palm oil processing. 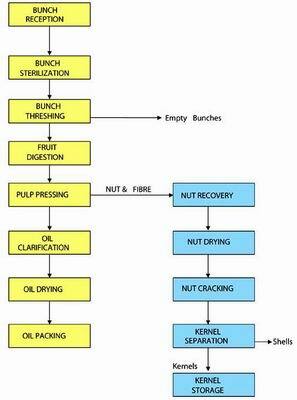 Palm oil is made using milling and refining processes: first using fractionation, with crystallization and separation processes to obtain solid and liquid fractions. Then melting and degumming removes impurities. Then the oil is filtered and bleached. Next, physical refining removes smells and coloration, to produce "refined bleached deodorized palm oil", or RBDPO, and free sheer fatty acids, which are used as an important raw material in the manufacture of soaps, washing powder and other hygiene and personal care products. Splitting of oils and fats by hydrolysis, or under basic conditions saponification, yields fatty acids, with glycerin (glycerol) as a byproduct. The split-off fatty acids are a mixture ranging in carbon chain length from C4 to C18, depending on the type of oil or fat. Raw materials enter one side of the palm oil mill and oil cakes exit the other side. 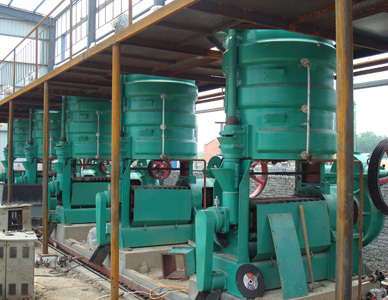 The oil mill uses friction and continuous pressure from the screw drives to move and compress the seed material. The oil seeps through small openings that do not allow seed fiber solids to pass through. 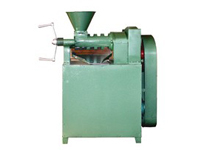 Afterward, the pressed seeds are formed into a hardened cake, which is removed from the machine. 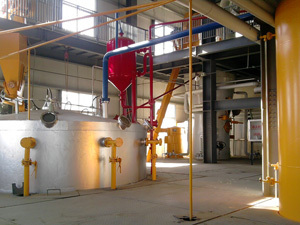 Pressure involved in palm oil mill pressing creates heat in the range of 140–210 °F (60–99 °C). We use a cooling apparatus to reduce this temperature to protect certain properties of the oils being extracted. Many processed foods contain palm oil as an ingredient. The highly saturated nature of palm oil, while undesirable from the health perspective, renders it solid at room temperature in temperate regions, making it a cheap substitute for butter in uses where solid fat is desirable, such as the making of pastry dough and baked goods: in this respect, it is less of a health-hazard than the alternative substitute of partially hydrogenated trans fat. Palm oil, like other vegetable oils, can be used to create biodiesel, as either a simply processed palm oil mixed with petrodiesel, or processed through transesterification to create a palm oil methyl ester blend, which meets the international EN 14214 specification. Glycerin is a byproduct of transesterification. The actual process used to produce biodiesel around the world varies between countries and the requirements of different markets. Next-generation biofuel production processes are also being tested in relatively small trial quantities. For any further information ,please kindly send us Email in the following form.We are always at your service.